The Department of Physics offers graduate programs that lead to the master of arts (M.A. ), master of science (M.S. ), and doctor of philosophy (Ph.D.) degrees. The traditional master’s degree programs, leading to a M.A. or M.S. degree, consist primarily of course work and require one to two years to complete. The doctoral program emphasizes research work in addition to course work and generally requires five to six years of graduate study. Course offerings are listed in the physics section of the UO Catalog. Degree requirements are summarized in the department’s Graduate Student Handbook. An Applied Physics Master’s degree, available through the Master’s Industrial Internship Program, helps prepare physicists for careers in industry and government labs. This program includes coursework, professional development, and a 9-month paid internship. The internship salary helps offset the cost of tuition. The program offers focus areas in Optical Materials & Devices or Semiconductor & Photovoltaic device processing. 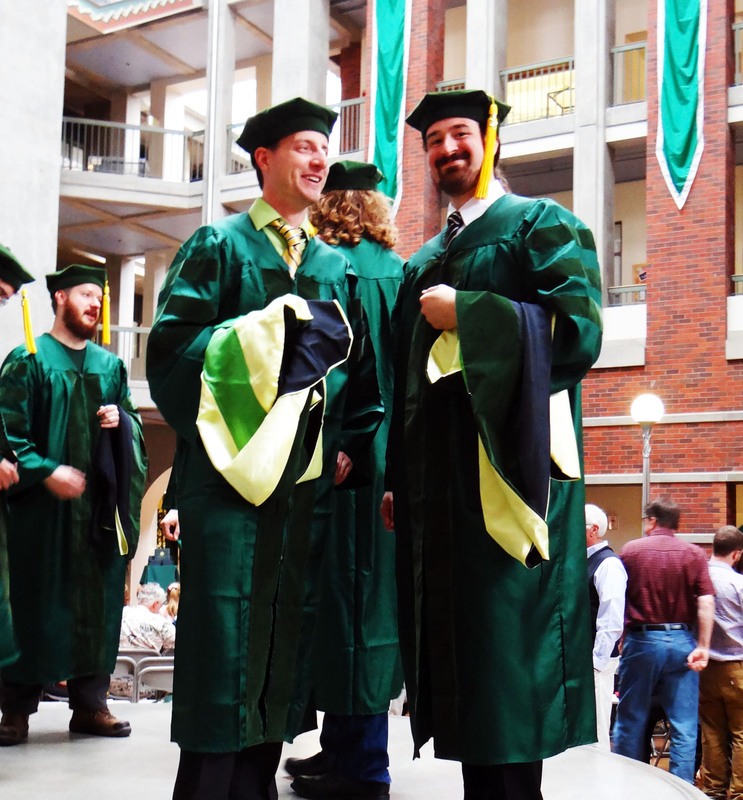 A substantial number of Oregon’s graduate students intend to become college teachers. Most students acquire some teaching experience in the first year or two as teaching assistants. Students who want more experience may arrange a program of practice teaching, supervised by physics faculty members, by registering for credit in supervised tutoring practicum.